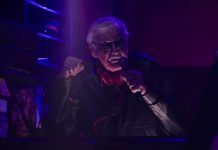 A new Halloween movie is coming to scare the pants off moviegoers this October, and the horror reboot showed off some of its very first footage at the recent Universal presentation at CinemaCon in Las Vegas. Filmmakers are “here to investigate” the events of Halloween in 1978. They approach Michael Myers in prison. They show him his mask and every prisoner around starts lashing out. The teenage granddaughter's friends discuss Laurie, each has a version of the true story which happened years later. Laurie tells a police officer she has prayed that Michael Myers would escape, so she could kill him. She has a dummy which she uses for target practice. The prison bus crashes and Michael Myers escapes. He approaches a woman in a gas station and drops bloody teeth over the stall. He puts his mask on. The Halloween classic music begins as he goes through a town on Halloween night, with real weapons. Laurie rushes the kids to go home, shoots at him through a window, and it was only a reflection. Chaos ensues. Laurie tells the filmmakers they should believe in the boogeyman. Later, a babysitter tries to close a closet door for a kid, and it won't close. It bursts open and Michael Myers is there with a knife. 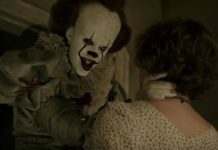 Horror fans were already amped for this year's new Halloween movie, so now there's even more reason to get excited. And earlier this year, Jamie Lee Curtis shared the first behind-the-scenes photo from the movie set. The new Halloween film is out Oct. 19, and the flick purportedly picks up 40 years after the story in John Carpenter's original slasher. Apparently retconning Rob Zombie's Halloween (2007) and Halloween II (2009) remakes, the fresh chapter is said to ignore previous Halloween sequels like Halloween H20: 20 Years Later and Halloween: Resurrection. 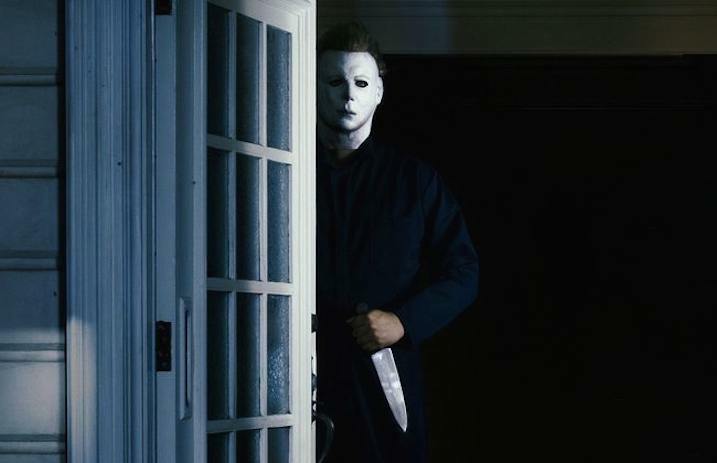 In addition to Curtis' return as the legendary Strode, Nick Castle will also be reprising his famous portrayal of murderous antagonist Michael Myers—Castle portrayed the killer in the 1978 film, prior to the Myers mantle being taken up by actors such as Don Shanks, Brad Loree and Tyler Mane. Previous articleMatty Healy has a new look – could this mean he’s teasing a new the 1975 era?